Caskets are used to for ground burial, mausoleum entombment, and the burial of cremated remains. Caskets can be purchased from funeral homes, casket showrooms, and online retailers. Caskets tend to be very expensive, and can range in price from $700-$20,000. If you will be purchasing a casket from a third-party or online retailer, it’s important to remember that the cost of delivery for the casket may be quite high, and typically ranges from $300-$600. Keep in mind that the Federal Trade Commission’s Funeral Rule guarantees that a funeral home may not refuse or charge a fee for using a casket you purchased elsewhere, including a casket you have bought online. If you've purchased a casket online, most funeral homes will let you ship the casket to the funeral home but will claim no responsibility for the condition that the casket arrives in. Most funeral homes will not store a casket you have purchased elsewhere. If you will be working with a funeral home, you can purchase a casket from that funeral home. Remember that the Federal Trade Commission guarantees your right to view a casket price list before you view any actual caskets. As all available caskets may not be on the showroom floor, it’s generally a good idea to look over the price list before viewing any caskets as more affordable options may not be on display. Costco sells a limited selection of caskets available in 18-gauge steel, copper, or wood at a lower price than most funeral homes. Three-day “standard” shipping is included in the price of the casket (which ranges from $950-$2600), though expedited next-day shipping is available (prices range from $1300-$3000). Costco ships caskets to the following states: Arizona, California, Connecticut, Florida, Illinois, Indiana, Iowa, Kansas, Kentucky, Massachusetts, Michigan, Missouri, Nebraska, Nevada, New Hampshire, New Jersey, New York, North Carolina, Ohio, Oregon, Pennsylvania, Tennessee, Texas, Utah, Washington, Washington, D.C., West Virginia, and Wisconsin. Costco does not ship caskets to the following states: Alabama, Alaska, Arkansas, Colorado, Delaware, Georgia, Hawaii, Idaho, Louisiana, Maine, Maryland, Minnesota, Mississippi, Montana, New Mexico, North Dakota, Oklahoma, Rhode Island, South Carolina, South Dakota, Vermont, Virginia, and Wyoming. Walmart sells a limited selection of caskets manufactured by Star Legacy. Caskets are available in 18-gauge steel, stainless steel, bronze, and copper, with prices ranging from $1000-$3200. Two-day shipping is included in the price, and Walmart does not deliver caskets on Saturdays or Sundays. 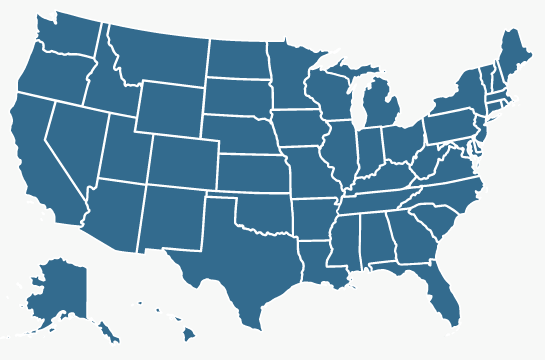 Walmart ships caskets to the following states: Connecticut, Delaware, Illinois, Indiana, Kentucky, Michigan, New Hampshire, New Jersey, Ohio, Pennsylvania, Rhode Island, South Carolina, Tennessee, Vermont, West Virginia, and Wisconsin. Walmart does not ship caskets to the following states: Alaska, Colorado, Hawaii, Idaho, Montana, North Dakota, Oregon, Puerto Rico, South Dakota, Texas, Utah, Washington, Washington, D.C., and Wyoming. Best Price Caskets sells 140 caskets (produced in both the United States and China) made in a wide range of materials. Caskets made of 18-gauge steel start at $995 and 20-gauge start at $880; wood veneer caskets start at $1220; cedar, pine, and poplar caskets start at $1400, oak caskets start at $1220, and ash caskets start at $1450; and stainless steel caskets start at $1700. Full couch caskets, over-sized caskets, and child and infant caskets are also available. In addition, Best Price Caskets sells specialty head panels for $50. Best Price Caskets ships to all 50 states and ground shipping is included in the price of all caskets (6-10 business days delivery), with expedited shipping is available for a fee: $280 for air-shipping, plus $100 if delivery is within 50 miles of airport or $165 if delivery is within 150 miles of airport.